Standard Liege Planning Surprise Move For Everton Starlet? 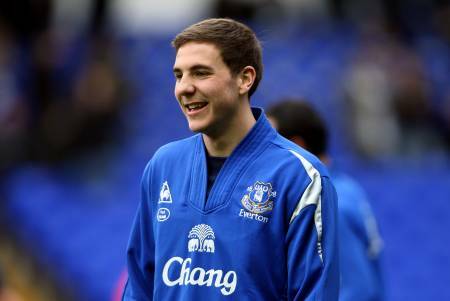 Everton’s highly-prized young full back Dan Gosling has emerged as a shock target for Standard Liege. Gosling’s current contract at Goodison runs out in the summer and, as a new deal is yet to be agreed upon, the versatile defender/midfielder stands to become a free agent come July. There is also Premier League interest in the England U21 man but any domestic transfer may end up going to a tribunal to agree a fee, whilst a move to Belgium would be free of such sanctions. It is being reported that Liege are keen to open initial pre-contract talks with Gosling within the next few weeks. Never heard/read anything about this, and as my name indicates: I’m Belgian! Belgians are pretty crazy though so you never know.